The two stories epitomize the real difference between mega money Manchester United’s privileged position and the necessary prudence Burnley must exercise just to survive in the top flight of English football. Mourinho is allegedly throwing open the United cheque book to bring Alexis Sanchez from the Emirates to Old Trafford, whilst Sean Dyche is looking to add to his squad with the timidity of a parsimonious parishioner from neighbouring Padiham. Burnley entertain the Reds of Manchester in a three o’clock kick off at Turf Moor on Saturday 20th January and will hope to get their faltering season back on track after a recent poor points return over the festive period. Thirty four points are already in the bag for the Clarets and Dyche will be looking for a better performance from his team than was witnessed in a dire 1-0 defeat to Roy Hodgson’s fast improving Crystal Palace last Saturday. Burnley are presently plagued by a bout of injuries which seems to have unsettled the normally resolute Clarets. I expect Matt Lowton to replace Phil Bardsley who was culpable for the goal Burnley conceded to Sakho’s driving run in the Selhurst Park reverse. Burnley’s Eire international Jeff Hendrick is not a natural number ten and seems about as comfortable in that position as Theresa May does at number ten Downing Street. 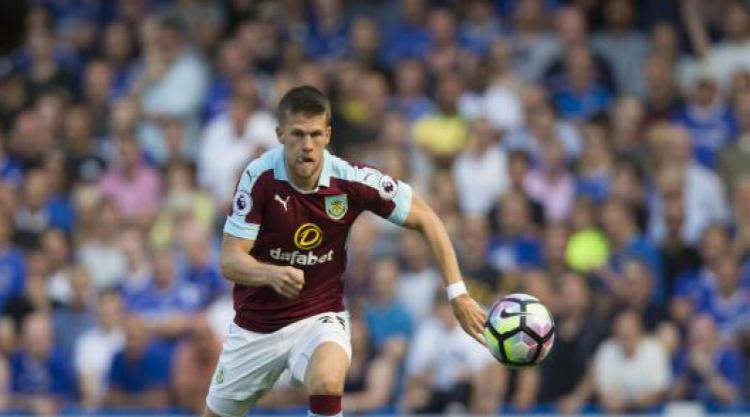 Icelandic international Johann Berg Gudmundsson is currently making waves for Burnley and is getting near to the top of his form and I have a suspicion the wide man could "do a Robbie Blake" for the Clarets and bring the points home for Sean Dyche's men. Wales’ Sam Vokes and Austria’s Ashley Barnes will no doubt be coupled together to pressurize the always suspect Reds' back four and Hendrick will in all probability be rested on the bench. Kiwi Chris Wood is injured yet again and Stephen Ward is also doubtful for Saturday but Burnley’s recruit from Elland Road, Charlie Taylor is staking a real claim to make the left back berth his own. Tom Heaton is still a long way off first team duty and I predict Burnley will line up: Pope, Lowton, Tarkowski, Mee, Taylor, Defour, Cork, Gudmundsson, Arfield, Barnes and Vokes in a 4-4-2 formation. As for Manchester United, who knows? Such is the plethora of talent and sheer number of players available providing Mourinho with unlimited options and perhaps Arsenal’s Sanchez will also be available for selection? Three points for Burnley and another famous scalp on Saturday for Sean Dyche would reduce the point’s difference between the Mancunian caviar eaters and the east Lancashire earthworm snackers to just thirteen points. It’s increasingly difficult to separate footballing fact from fiction, but in Sir Alex Ferguson’s famous words, “Football, bloody football!” (TEC).